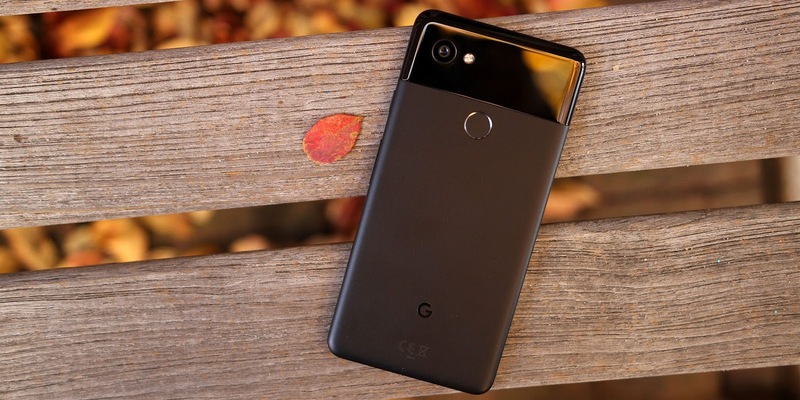 Google's latest flagships the Pixel 2 and Pixel 2 XL are great phones but when it comes to durability, in a recent video by JerryRigEverything, the Pixel 2 fails as it cracks the body through the antenna lines. Today, the YouTuber targets Pixel 2 XL for a torture test and see which brother is better. Just like the Pixel 2, Pixel 2 XL's “hybrid coating” that provides a plastic-like feel over the aluminum unibody scratches off easily. In fact, something as simple as keeping your phone and keys in the same pocket could permanently expose the metal underneath. The coating extends all around the sides of the phone, including the volume and power buttons. However, the latter button on the Pixel 2 XL is metal instead of plastic as on the smaller Kinda Blue Pixel 2. Meanwhile, the inlaid ‘G’ logo on the bottom rear of the phone is quite sturdy and required significant scraping to remove. It also retains metal grills covering the front-firing speaker versus the cloth over the original devices. This larger phone does excel in a bend test with only minor flexing. In contrast, the Pixel 2’s frame split along the plastic antenna line just below the SIM card slot. As such, the Pixel 2 XL will not suffer from losing IP67 dust and water resistance.